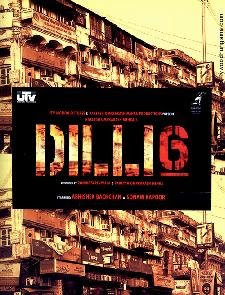 Movie Review: Delhi 6; Star Cast: Abhishek Bachchan, Sonam Kapoor, Rishi Kapoor, Om Puri and Waheeda Rehman; Director: Rakeysh Omprakash Mehra; Rating: *** - Is worth a watch. desire of his terminally ill Daadi (Waheeda Rehman) to spend the last days of her life in her hometown. As Roshan after a brief culture shock, tries to understand the complexities of relations that kept his people apart from each other as well as close to each other, he slowly gets attached to Bittu (Sonam Kapoor) and the chemistry grows, which is very convincingly directed using rich background music and believable day-to-day situations. The first half, though appearing a little lengthy focuses on reverse-culture-shock jokes, lavishly reproduced Ram Leela, a visit to the Taj Mahal, and a cow giving birth in the street. It is in the second half that things take a more serious turn. Unwelcome traditions and smoldering religious hatred comes bubbling to the surface and erupt into a Do the Right Thing climax that takes everyone by surprise. Several characters and subplots weaved together to relate to the central plot of analyzing beliefs against rational thinking, with a touch of humor is quite entertaining but one has to endure the laborious and forced accent of Abhishek Bachchan throughout the movie. Although at several places, the movie seems predictable, Mehra succeeds in putting surprises well in time and balance. The climax gets dragged due to cameos and voiceovers. Although Roshan’s attempts to put belief and trust in people ahead of belief in customs and religion deserve a pat, what disappoints is Mehra getting preachy at many places. Rahman’s soulful music takes the film to a completely different level altogether. Mehra and his cameraman Binod Pradhan have succeeded in capturing the buzz of Delhi city very well in every frame. Those living outside of India will find that connect with that feeling of wanting to be in both places. The song in the second half which juxtaposes Abhishek’s life in the US with the people and life in India is beautifully done as well. Hat’s off to the director and technical team there. Abhishek has delivered one of his better performances but his American accent doesn’t really work. Sonam Kapoor doesn’t have much to do but except for the climax but she carries herself immensely well. Waheeda Rehman, Om Puri and Rishi Kapoor are simply outstanding. The huge ensemble cast comprising of acclaimed actors such as Raghubir Yadav, Pavan Malhotra, Supriya Pathak Shah, Deepak Dobriyal, Divya Dutta, Vijay Raaz, Tanvi Azmi and Atul Kulkarni do a wonderful job.